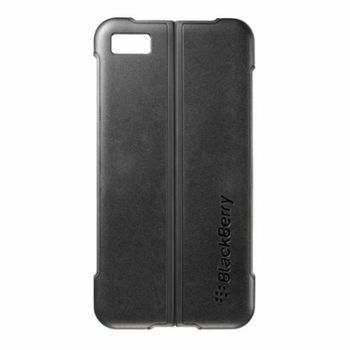 The ultra-thin BlackBerry Transform Hard Shell provides a flip to stand feature, which allows you to easily charge or enjoy media on your BlackBerry Z10. This case provides access to all ports and is exceptionally designed to allow seamless swiping and gesturing on your smartphone’s display. The ultra-thin BlackBerry Transform Hard Shell provides a flip to stand feature, which allows you to easily charge or enjoy media on your BlackBerry Z10. This case provides access to all ports and is exceptionally designed to allow seamless swiping and gesturing on your smartphone’s display.